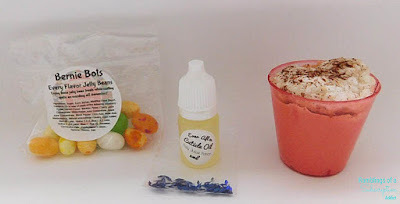 What is the Ever After Monthly Box? : Ever After Polish's Monthly Box is a subscription box with features something new from Ever After each month. Each box will include one full-size exclusive polish, one full-size bath product, and one mini bath sample and/or mini polish. How Much is the Ever After Monthly Box? : The box is $14/month plus shipping ($4 for the US). The preorder is between the 15th and 22nd of the month, and the box ships out after that. Instead of being a typical subscription where it is auto-deducted each month, you can either buy one box (during the availability time) or choose to be invoiced monthly. I, of course, chose the second option, so each month I receive an invoice and pay it through PayPal. Click here to see past Ever After reviews! Harry Potter themed boxes bring me life. Check out the bottom of this post to see the amazing extras for this box! 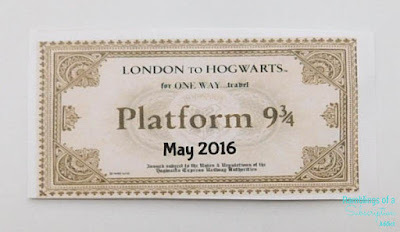 I finally received my ticket! 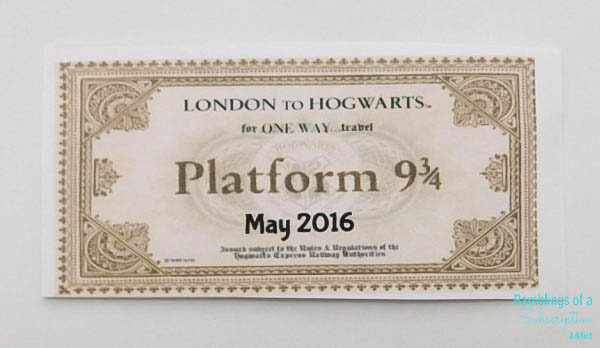 Off to Hogwarts, I go! 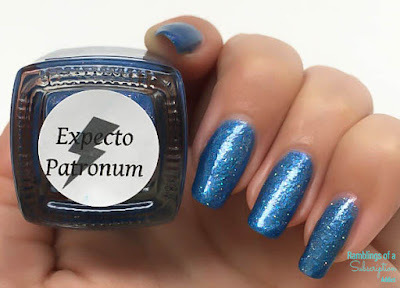 Expecto Patronum - a magical shade of sparkling blue. 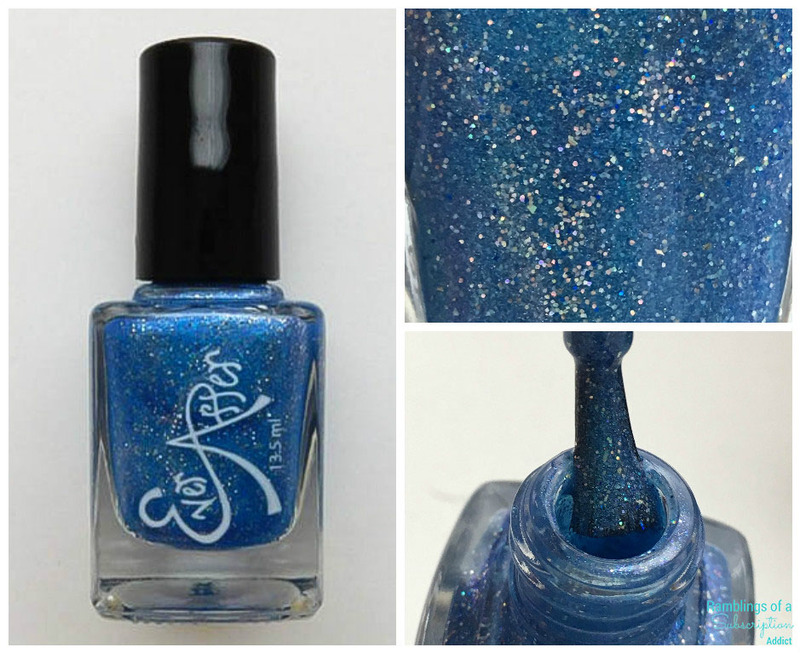 Expecto Patronum is a denim blue base with holographic glitter as well as silver glitters. It is full coverage in two coats and does require a top coat to smooth it out, and it needed even more than the one coat I used to make it glassy smooth. 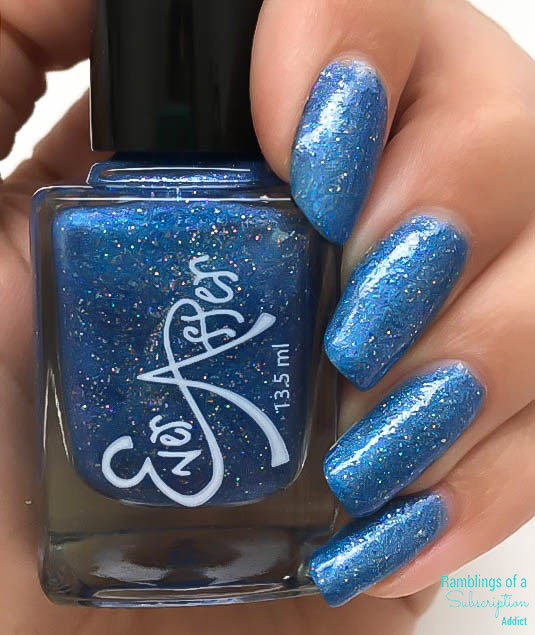 I absolutely love this color, it's reminiscent of the blue Patronus from Harry Potter, and that's enough for me to love the polish. 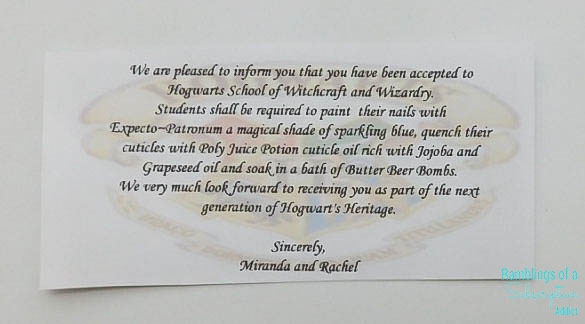 Extras included Bertie's Bots Jelly Beans (no, I am not eating these because I have been burned on these too often as a child), Polyjuice Potion Cuticle Oil (Jojoba oil and Grapeseed oil), a Butter Beer Mani Bomb (in a shot glass, which is the cutest ever), and lightning bolt nail decals! Overall, I really loved the May box from Ever After. 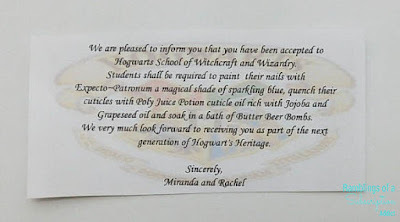 The polish was absolutely gorgeous and I loved the extras. I wish I could share the mani bomb scent with everyone, it's so good and I'm holding off on using it because I just love the way it makes my room smell.